If you do not have the time for an elaborate breakfast, you can compensate by having a wholesome smoothie and it is sure you would sustain until lunch. 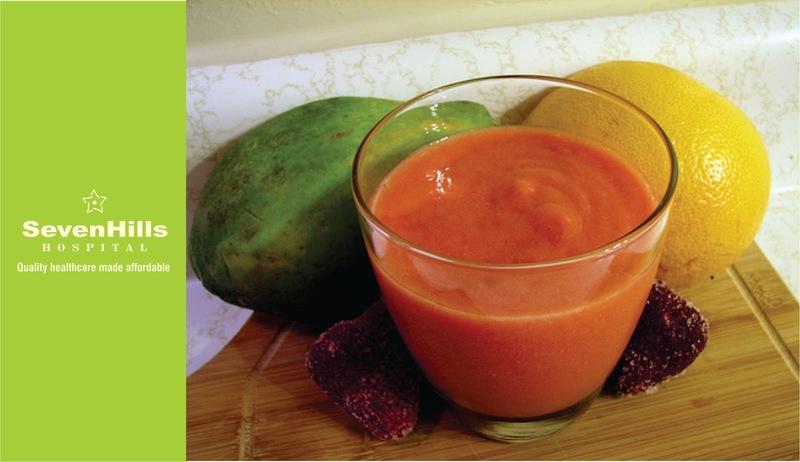 This smoothie is stuffed with the goodness of papaya, which is rich in Vitamin A and fiber a fruit for diabetics. This is a good combination of vitamin rich fruits. 1) Combine all the ingredients except the ice and blend in a mixer till smooth. 2) Put ¼ cup of crushed ice in each glass and top with the smoothie.